There was life before the death! 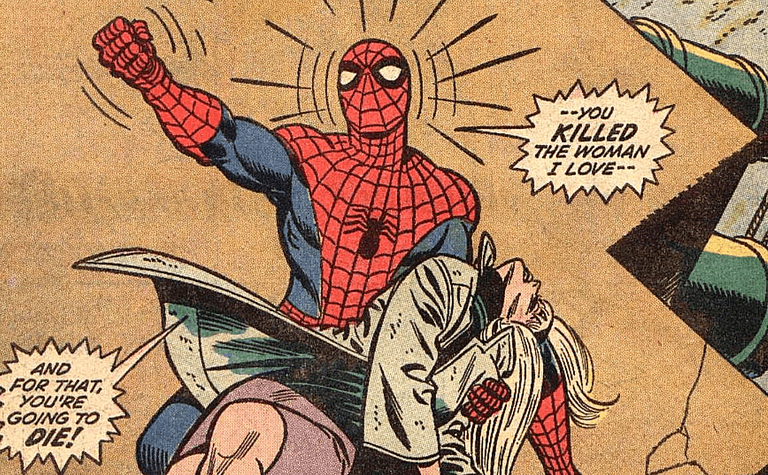 Peter Parker's former love is probably best known for how that romantic tryst ended, but there's a lot more to Gwen Stacy then you might think. Or a little bit more, anyway. Despite being the love of Spider-Man's life, Gwen Stacy didn't actually appear in the comics until the third year of its existence. First appearing as a classmate of Peter's at Empire State University in Amazing Spider-Man #31, he managed not to notice the dazzling beauty across the room batting her eyelashes in his direction. He managed to breeze right past her and Harry Osborn when old high school nemesis Flash Thompson attempted to introduce Peter to his new pals. For the longest time it looked like he and Gwen simply weren't meant to be, owing to his being preoccupied by his Aunt May being hospitalized and a particularly grueling series of recent supervillain encounters. Not to mention he had just broken up with Betty Brant, a short-lived relationship withsecretary of The Daily Bugle. They at last managed to light a spark when, finding himself on firmer ground, the stoic Peter struck up a friendship with Flash and Harry. The smart, beautiful Gwen finally confirmed his suspicions: she totally had the hots for Peter Parker. With impeccable timing, Mary Jane Watson showed up on the scene at the exact same time. Where Mary Jane was a flirtatious, confident wild child, Gwen was much more Peter's speed. A fellow chemistry major, she was judicious in her studies, fiercely intelligent, but a little more socially outgoing along with being dedicated to her studies. The two inevitably woundup dating, and inevitably had to deal with the unique problems of one member of a couple having a secret identity. Plenty of canceled or severely truncated dates, with Peter having to run off and do some Spider-Man business, ensued. Even though all that drama, Peter and Gwen stuck together. That was helped in no small part by her father, police Captain George Stacy, approving of his daughter's boyfriend and providing Peter with yet another doomed father figure who would be tragically torn from his life. Captain Stacy died saving a child from some falling rubble in the middle of a battle between Spider-Man and Doctor Octopus. With his dying breath, he revealed he knew Peter's secret identity and asked him to look after Gwen. Easier said than done, given that the grieving daughter Stacy blamed the webhead for her father's death. The relationship continued to flourish nonetheless, with Peter better balancing the time spent on his personal and superhero lives. There was even rumblings about wedding bells. Again, right on cue, a previously amnesiac Norman Osborn (father of their mutual pal Harry) suddenly became aware of his past life as supervillain the Green Goblin – and of Spider-Man's real name. Insane and wanting to exact revenge on his nemesis, he kidnapped Gwen and threw her off the Brooklyn Bridge to her death. In a career characterized by tragic loss, Gwen's was amongst the most profound in Spider-Man's life. Despite a long and loving relationship (and marriage) with Mary Jane a while after – the previous wild child becoming much more mature after the striking blow of her close friend dying – it's obvious that Gwen Stacy was the love of his life, and he fell into a deep depression following her death. Despite seeming vengeance wrought from the Goblin dying soon after the murder, impaled by his own glider, Spidey has grieved for his lost love ever since. Probably doesn't help that he rarely gets a chance to forget, what with Norman Osborn returning to life soon after. And then there are all the clones. There's a word likely to strike fear into any comic book reader. Amongst those affected by Gwen's passing was, apparently, her college professor Miles Warren. It turns out he was in love with his student, and he's driven mad by her untimely demise, adopting the supervillain name of The Jackal. He attempts to clone Gwen – and Spider-Man – multiple times, eventually resulting in the execrable “Clone Saga” decades later that involved genetic copies of all sorts of Spidey characters running about the place. None was eerier than the reappearance of his lost love, however. Not that she ever came back to life for real, though. What did happen was that it was revealed, decades later, that there was more to Gwen and Norman Osborn's relationship than meets the eye. He didn't just choose her as a kidnap victim to get at Spider-Man; the two had also had an affair, meeting thanks to her friendship with his son Harry. The affair resulted in a pregnancy, twins, whom she wanted to raise with Peter. The Green Goblin obviously had other plans. The kids, a boy and a girl named Gabriel and Sarah, aged quickly thanks to Osborn's mutated DNA, were trained by the Goblin to hunt down Spider-Man – obviously, he told them he was responsible for their mother's death because Norman Osborn is the biggest jerk in the Marvel Universe. Their plan fails, despite Gabriel briefly becoming a new Goblin, and they disappeared forever. With amnesia, thankfully. 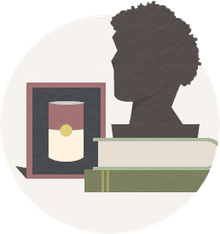 Since then, Gwen's memory hasn't been desecrated any more: she had a library built in her name (with money Spidey was paid to protect a mob boss), and more recently, became a superhero herself!...In an alternate reality. Hey, So How About That Civil War, Huh?